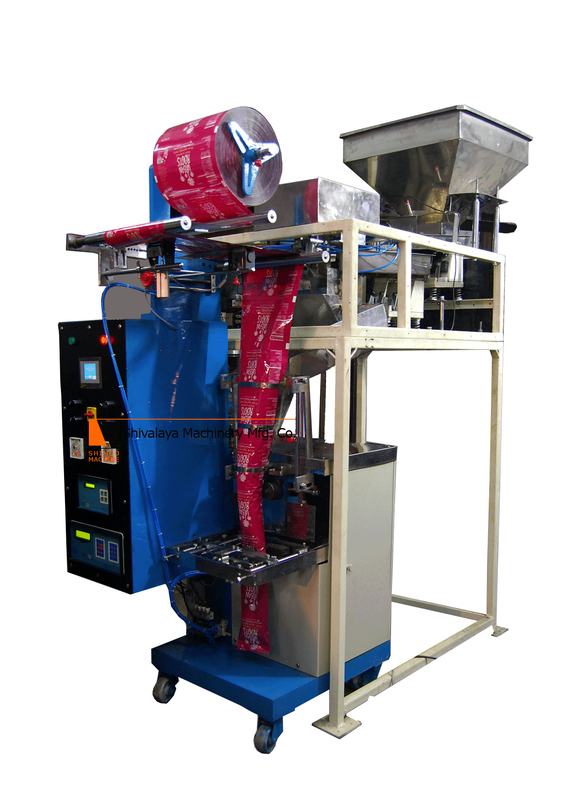 The Linear Weigher Automatic Collar Type Pouch Packing Machines, suitable for weighing granule and powder, provide high speed and high precision. PLC touch screen control system, with dual vibration feed, easy to operate. All parts of the multi-head weighers are made of stainless steel. Hence, the measuring equipment is corrosion resistant, dustproof, and easy to clean. Filling Capacity 5 - 1000 Gms. Fill Speed 1000 to 4000 Pouches /Hr. Total Power 3 Kw. 220v. Single Phase 50 / 60 Hz.